A brand new game at Skelmorlie Golf Club in which you can participate to try and win weekly cash prizes and if your lucky the Jackpot, which increments every week it is not won. Depending on how long that continues the result can be some very substantial Jackpots. 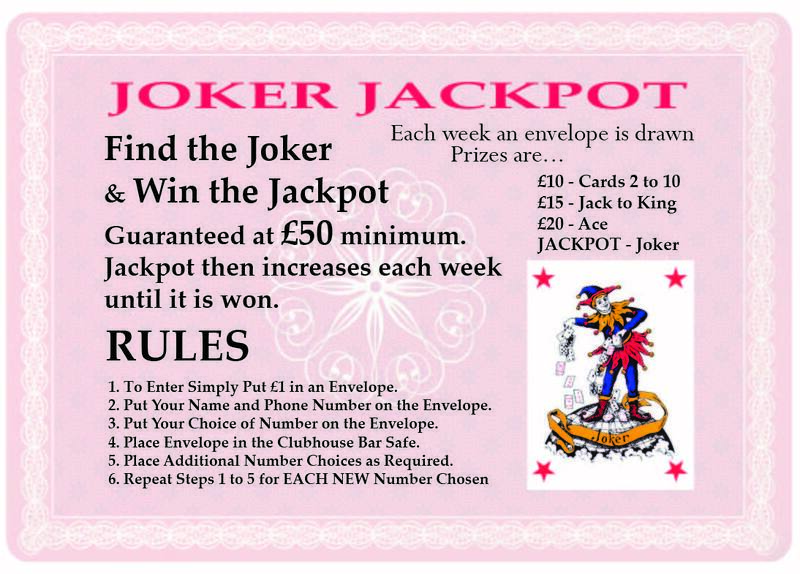 Every week a draw of the weeks entered envelopes will be made and the winning envelope will have its associated card number turned over and that card removed from the game. Depending on the card drawn a cash prize will be awarded varying from £10, £15, £20 or indeed if lucky enough the jackpot. Anyone can select as many cards as they wish each week at a pound for each one, please ensure you make each entry in a seperate envelope. Cards may of course have multiple selections by individuals on them but there will be only one winner in relation to the winning card – that is the card number shown on the drawn envelope. WOW an Amazing pick, a 1 in a lot chance, but well done.